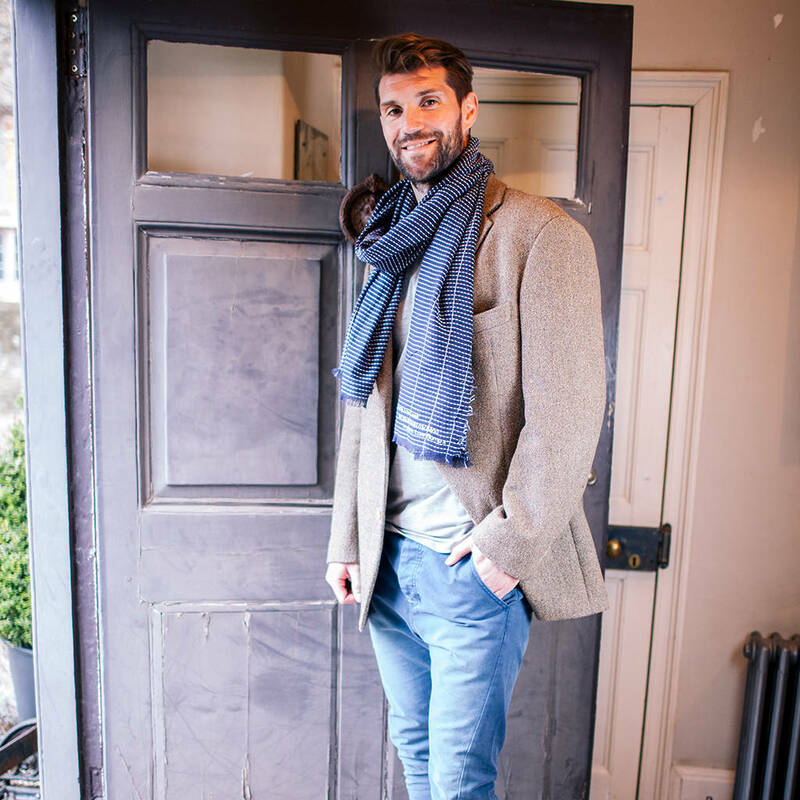 Personalised From The Bump Mens Scarf is the perfect gift for a new Dad or Daddy to be. 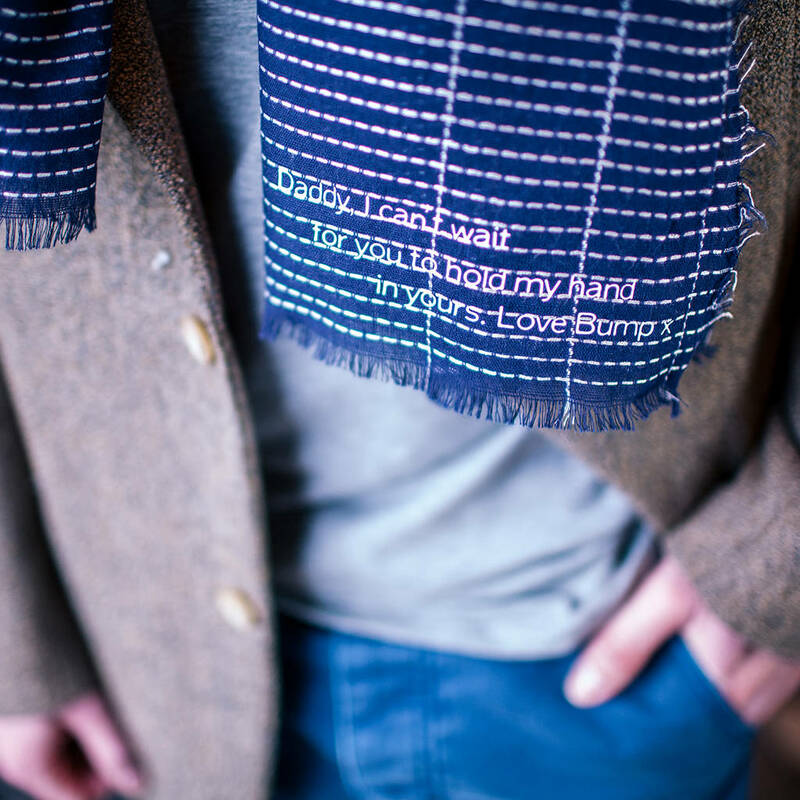 The men's scarf can be personalised with any message for example, 'Daddy I can't wait to for you to hold my hand in yours, love Bump'. A lovely gift for a soon to be Dad or as a way of announcing that he's going to be a Dad. 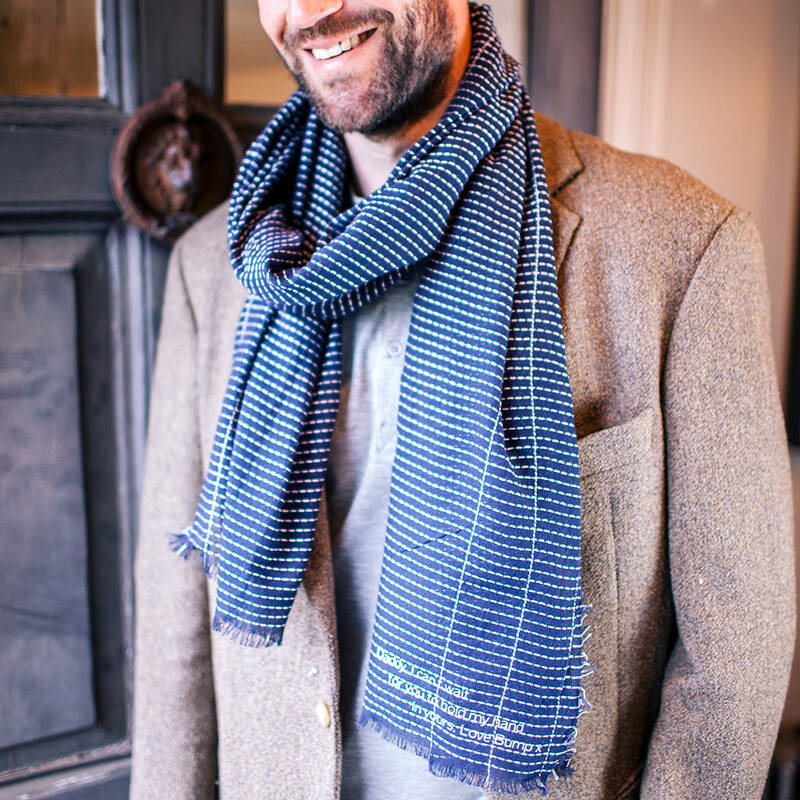 Alternatively you could personalise the scarf with 'We love you Daddy, love Ella and Noah' to add a lovely thoughtful message that will remind Daddy of how much he is loved every time he wears his scarf. The personalised scarf is 100% cotton soft and light weight enough to be worn year-round and features a subtle pattern in white stitched detail. 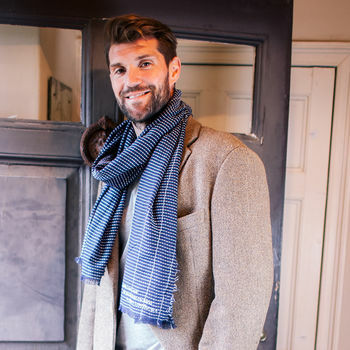 There is a choice of print colours to compliment or contrast with the scarf, the main photo shows the white print. 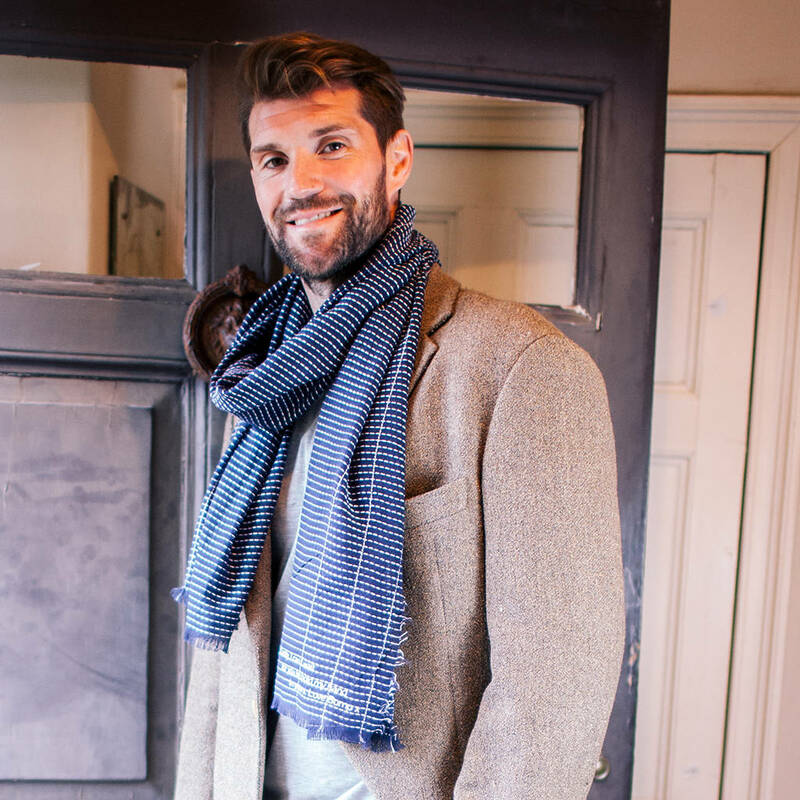 The men's cotton scarf makes a lovely birthday gift for your Dad, Grandad, Husband, Partner, Brother or as a Father's day gift or Christmas gift. You can also add gift wrap to your order and we have a variety of cards for you to send with your gift. 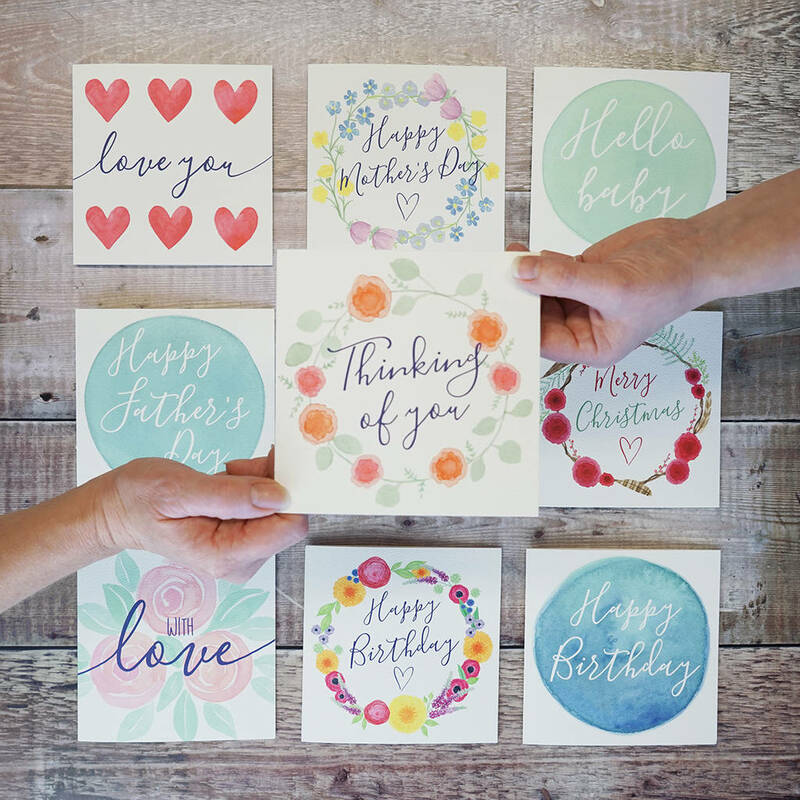 We can also add your message inside the card and send your gift direct to the recipient for you. 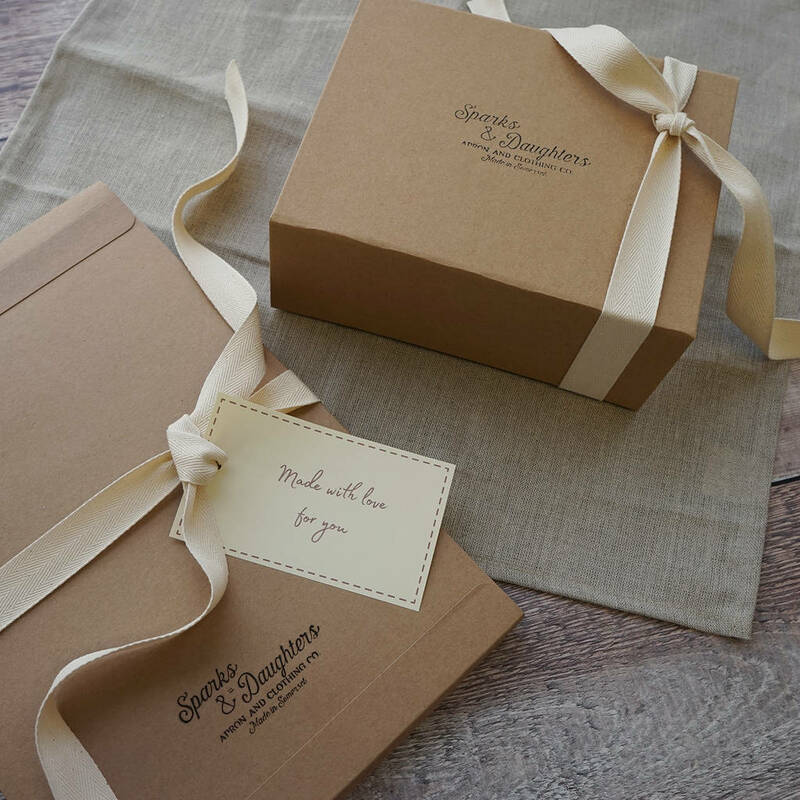 We have a range of gift wrap available so we will choose the most appropriate size for your gift. There is only one postage charge when you order more than one item with Sparks and Daughters.